Being objective when we are about to talk about Abbath the new band of former member and co-founder of Immortal, best known by his artistic name Abbath is nearly impossible, because his legacy precedes him, last year when he announces his way out of Immortal, took it by surprise their international fanbase, the questions began to spread and few or sporadic answers came out, but no one suspected what's coming up and in a sign of good faith, I will avoid discuss or mention worn-out statements. 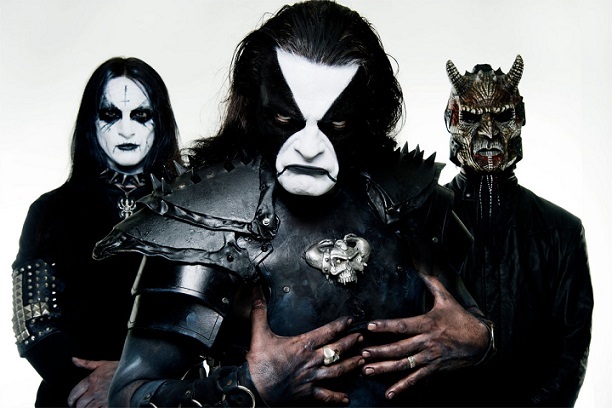 The band Abbath was formed in Bergen, Norway by guitarist and vocalist Abbath, bassist King Ov Hell former Gorgoroth and drummer Creature (Kevin Foley) former Benighted, who finally left the band in late 2015; With this lineup they rapidly sign a deal with Season of Mist to record what will be their album debut self title "Abbath" the guitar and bass was recorded at Bergen Lydstudio, in Norway while the drums were recorded at Dugout Studios, Uppsala, in Sweden and the mixing, engineering and mastering were done in September 2015 at Dugout Studios by Giorgos Nerantzis. If I have to place Abbath self titled album alongside with an Immortal's albums, certainly will be between "At the Heart of Winter" and "Sons of Northern Darkness" because reminds me the fast melodies, catchy riff and overwhelming drums, the album start defiant "To War" a corrosive riff hits the speakers while the drums get ready to unleash furious beats, the vocals are raspy and direct, "Winterbane" injects some kind of riff along the cut and the bass shows up with a landscape of disharmonies that plays superb while the drums steadily keeps the pace, "Ashes of the Damned" is aggressive and hyper melodic, "Ocean Wounds" kick off with a solid drums session follow by the bass just to achieve the right ambience for a killer guitar riff, "Count the Dead" without any doubt is the best track in my opinion feels like a frantic race to build a wall of sound and when reach it's pinnacle doesn't fall and returns to pick up the pace once more, "Fenrir Hunts" will slaughter your senses with relentless blast beats, "Roots of the Mountains" slows down the pace a bit just to allow you to catch your breath, here you can enjoy the guitar riff while the bass play eerie tunes in the background, "Endless" is a classic black metal cut mixed with some crust punk riff, more properly to the sound developed early during the second wave of black metal, this album contains two bonus track one of them is "Riding on the Wind" is a Judas Priest cover, and "Nebular Ravens Winter" is an Immortal cover, both track are not listed in the track list printed on the back cover. 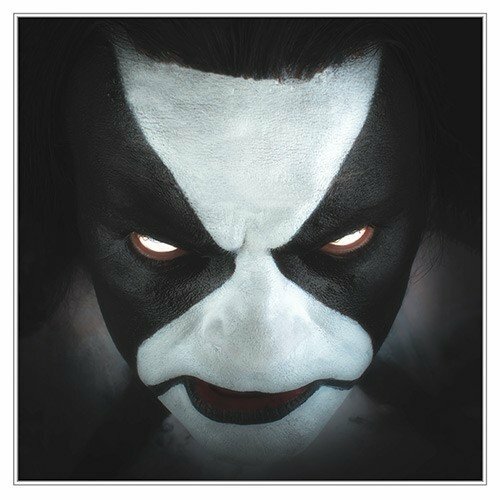 Abbath releases a crushing debut album which sounds aggressive, chaotic with dark melodies, undoubtedly Abbath the man has reinvented itself, projecting strongly and willing to leave behind Immortal or perhaps Immortal spirit will remain inside him? Not sure, I dare you to find out by yourself, this album is a must have to own it, get your copy and save a spot for the best black metal albums of 2016, I know it's to early to say this, but I am not making mistake about it.